We have a tendency of showcasing sleek, somewhat futuristic small apartments on this site, and while we are quite unapologetic about this, it is by no means the only aesthetic available to small space dwellers. 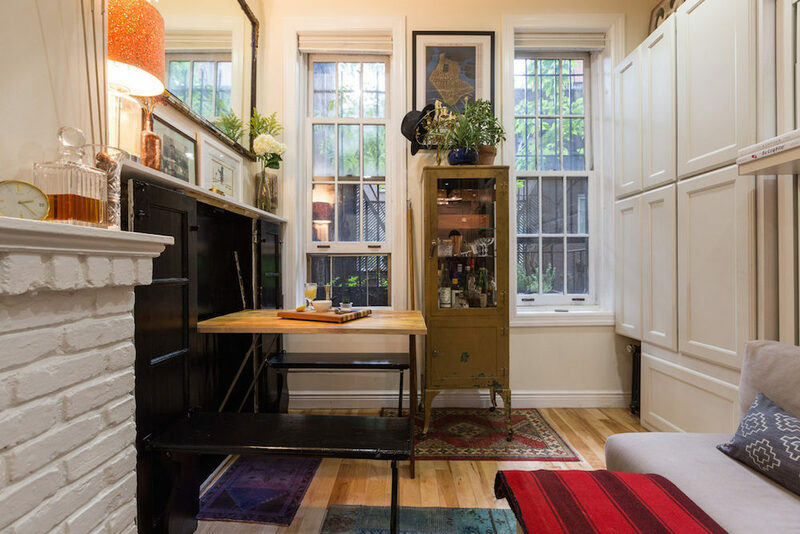 In fact, many of our readers appreciate a more lived-in vibe to their small interiors, and we thought this 242 sq ft apartment in Manhattan’s West Village a nice example of what that can look like. The apartment is shared by couple Jourdan Lawlor and Tobin Ludwig. 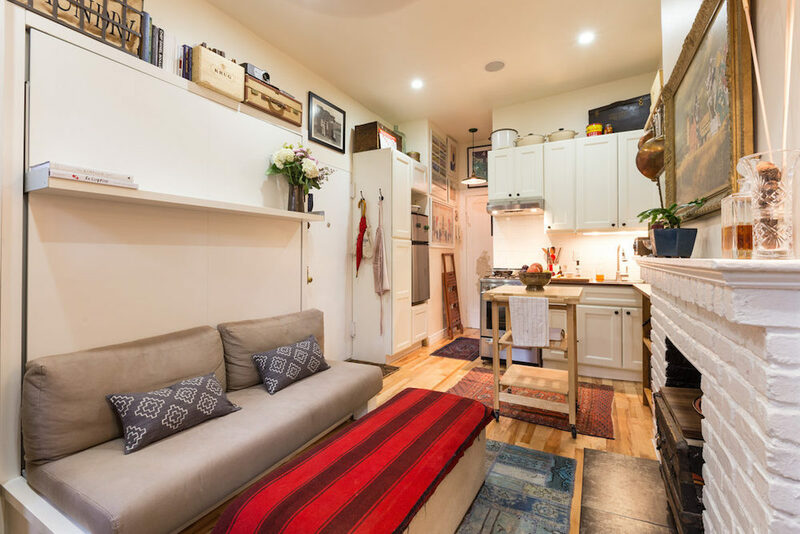 The former bought the tiny place a few weeks before meeting the latter, and when things got serious, they decided to throw money into the apartment rather than moving to a larger space. They replaced the kitchen, added cabinetry and bought the Nuovoliola wall bed/sofa from Resource Furniture, which turns the main room–i.e. the only room–into the bedroom. There is also a pocket dining table and bench that pull out of a cabinet. 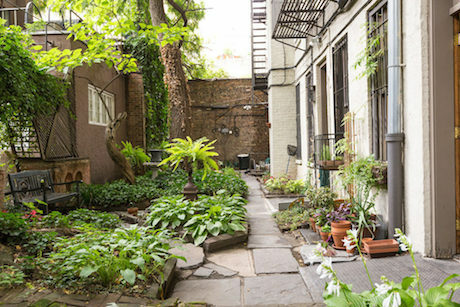 The apartment benefits greatly by its access to a communal garden, which the apartment faces out into. 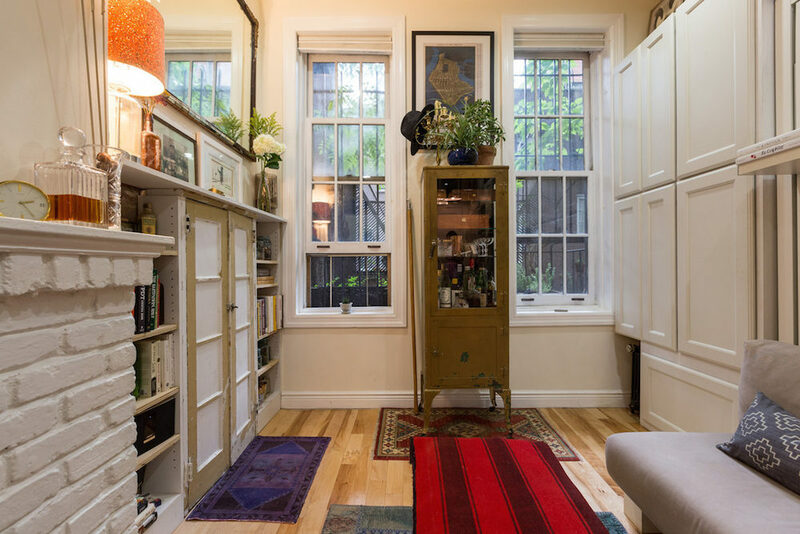 Another perk is its location in the heart of the West Village, a neighborhood that enjoys the split personality of being lively and tranquil (with some block-by-block variation). 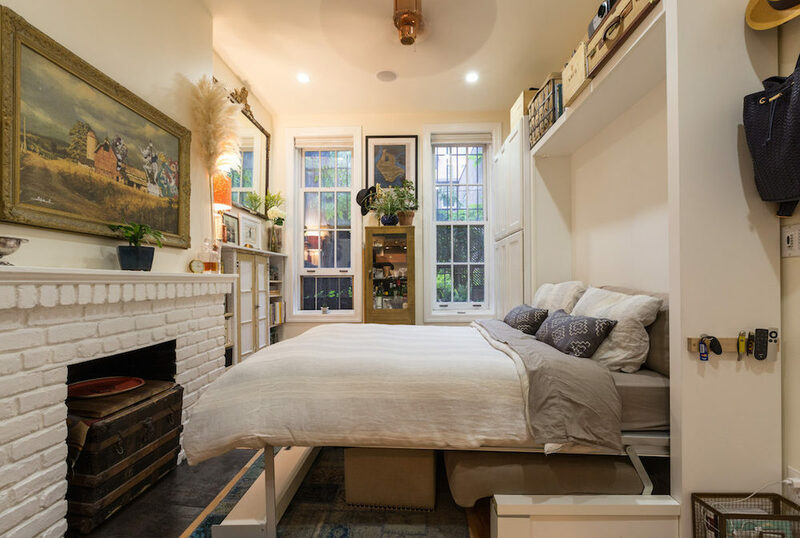 I personally prefer this over the sterile tiny spaces you generally show. how do the benches work? Pretty cool, huh? Are you designing anything new these days? A charming and homey place. I love it! However, I would like to see some posts about small houses. Not micro houses. The reaction against supersized homes has gone too far for me and many. I’m talking about, say 700 to 1200 square feet. Not a vacation home, but a year-round principle residence. There are several advantages to a house as opposed to a condo or apartment (as well as a lot more work): light comes in from all four directions; your neighbors are not the other side of a possibly thin wall; and, if you own it, then no one can tell you you can’t have pets. My favourite studio so far; I could definitely see myself living here! Although not as a couple. I think this is my favorite loaf the tiny living spaces, so far. Lovely, warm and welcoming! “of” pardon my auto correct.